2014 KCO School Holiday Program is now available for booking. This program runs every semester break to provide a wide variety of hands-on cultural tasks with fun. See below for more information! Encourage your principal to participate in a Study tour of Korea! The Australian Principals’ Korean Cultural Experience Program (APKCEP) has been running since July 2010 and is intended to help facilitate Australian principals’ engagement with the history, culture and people of Korea. The 2014 APKCEP will be held during the Easter school holiday period (13-22 April 2014). The inland expenses (full-board, transfers, guides, entrance fee and interpreters etc) will be provided by the Korean Ministry. The return airfare and travel insurance are the participants' responsibility. Application due is Friday 28 February 2014. To submit your application or make an inquiry, please contact Joseph Kim (Administration Manager/Senior Education Officer), Korean Education Centre on 02 9261 8033. NOTE: The Australian Principals’ Korean Cultural Experience Program 2014 has been developed and hosted by Korean Education Centre – Consulate General of the Republic of Korea in Sydney. Please note following two events of KOLTA before end of this year. This will be a supplementary session as agreed at last KOLTA workshop in August, however, welcome anyone who missed 1st session. Dinner will be free & lucky door prizes!! For some fun, each member brings a small gift, approximately $10 worth and You need to enclose a request to your unknown gift recipient on a piece of paper (e.g. sing a favourite song, tell us about the happiest moment in 2013, classroom episode, and so on..) before wrapping. Please advise your attendance asap for both events for catering purpose. Best education in the world etc. Curriculum resources for Years 7-8 Arts. 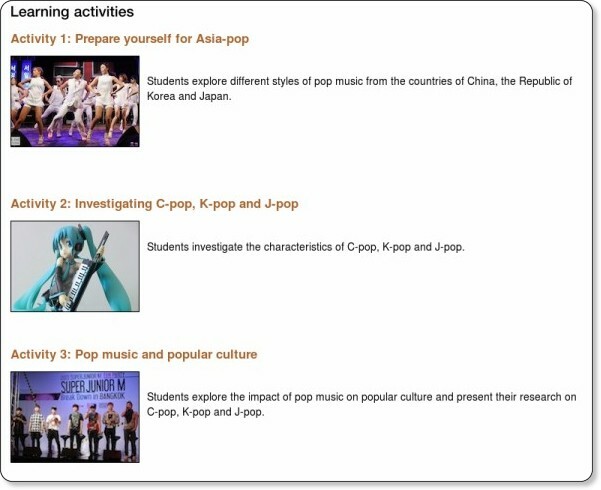 This module looks at contemporary pop music produced in China, South Korea and Japan. Students will explore the diversity of contemporary music and investigate its interrelationship with the popular culture of these countries. 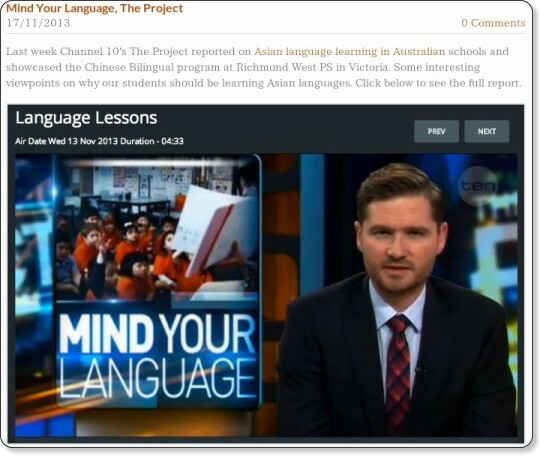 Interesting resources for language teachers! Teacher notes and learning activities are available below.